I arrived in Tajikistan from Uzbekistan. 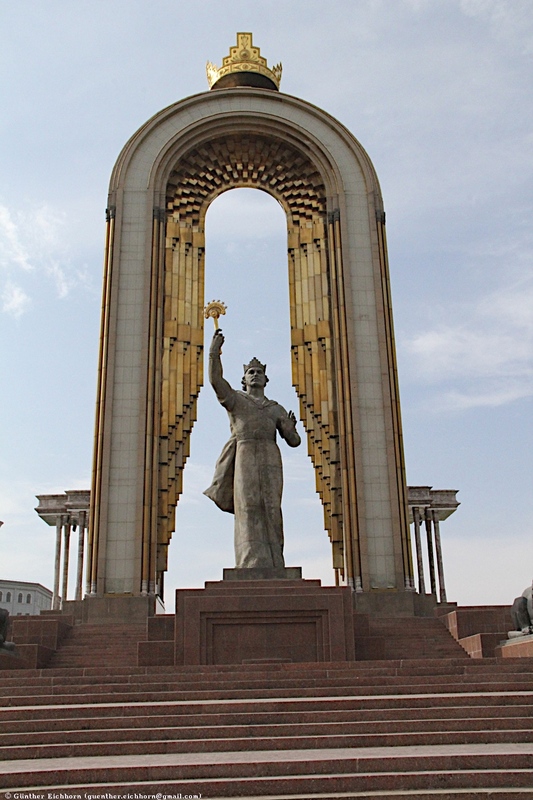 My guide picked me up at the Uzbekistan-Tajikistan border and drove me to the capital Dushanbe. 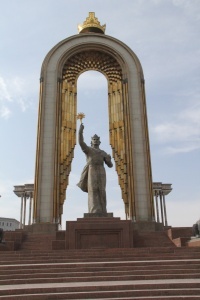 On the first full day I visited sites in and around Dushanbe. On the next day we drove to Khujand, a very scenic drive. I walked around Khujand for a while in the afternoon. 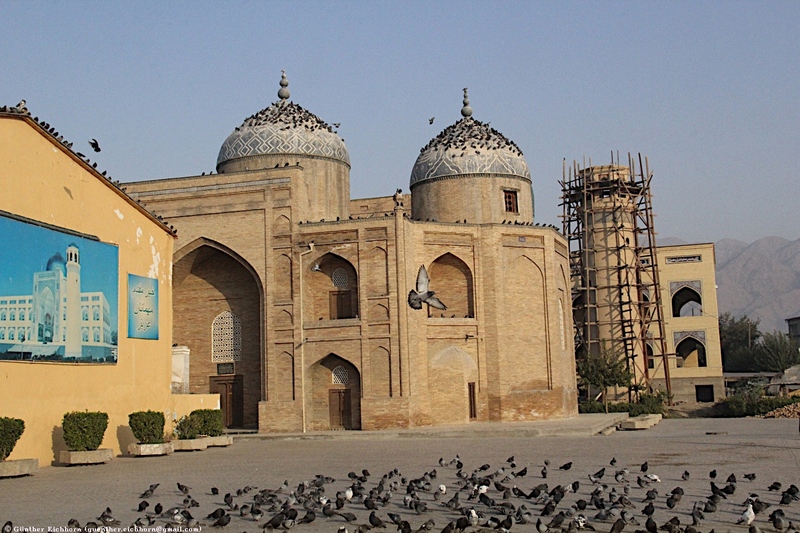 On the next day we visited some historic sites in Khujand, and the drove to the Tajikistan-Uzbekistan border in the north. Just like the other countries on this trip, Tajikistan was not what I had expected. I expected drab Soviet style cities, dilapidated cars, and depressed people. It was not at all like that. Dushanbe was modern and busy. There were some areas that were not renovated, where you could still see the older Soviet style buildings. The villages lag behind the capital, but altogether I had a good impression of Tajikistan. It was not as well off as for instance Turkmenistan, since Tajikistan doesn't have oil or natural gas. The scenery in Tajikistan is very beautiful. The drive from Dushanbe to Khujand is very scenic. There are not as many historical monuments in Tajikistan as in Uzbekistan, the Silk Road seems to have bypassed Tajikistan. Food and beer was decent and inexpensive. It was a short visit to Tajikistan. As everywhere in Central Asia, people were friendly, but didn't speak English. Tajikistan doesn't have the many historical Silk Road sites that the other countries in the area have, but it is very scenic. As I understand it there is fantastic hiking in the mountains of Tajikistan. I would have liked to see more of the natural beauty of Tajikistan.